A lesson on there is / there are is useful for low-level students for many reasons. It uses the simple present, a very common verb tense. It demonstrates subject-verb agreement. It introduces students to prepositions of place (since we often mention a location in this type of sentence). And students will also learn vocabulary on food and containers in our There Is / There Are lesson! This colorful 12-page lesson starts off with a simple grammar explanation. This is followed by a variety of activities such as a matching exercise, multiple choice, questions and answers, dialogues, a pair work exercise, and a class survey—your students definitely won’t get bored doing these fun exercises! There are also two bonus pages on prepositions and container vocabulary that you can hand out and review with your students if needed. Students will practice positive and negative sentences, question formation, and short answers using this common sentence pattern. They can work alone or with a partner for almost all of the exercises in this lesson, and there is also a group activity. You can choose whether to do the entire lesson in one day or to break it up over a few days and/or assign some of it for homework. Find this lesson in the Grammar School – Basic Grammar Structures. Elaborate on our There Is / There Are lesson by printing out this worksheet: There Is or There Are for Nouns in a Series? Simple Present – Be is a 15-page lesson with many fun activities. The focus is on introducing yourself. Try How to Introduce Yourself in English for speaking and listening practice. This blog post includes a free, printable dialogue. This fun, printable activity gives your students practice with the simple present: Be Verb Practice: Be Yourself Game. Check out our blog for teaching tips (see Teaching the Simple Present) and an activity (see Daily Routines Game – Reviewing the Simple Present Tense). Our Grammar School has many simple present lessons that are broken down into categories, like Do, Can, Be, and Wh-Questions. There are more than enough worksheets to practice in class and do for homework. We also have simple present lessons in the Q & A Review and Grammar Stories sections of the Grammar School. Our Library section lets students see the simple present in action. There are 17 simple present lessons in our Library – Present Simple Stories section. These lessons also include a digital component that students can do in class or at home. Our Conversation Station has two categories of simple present dialogues: Present Simple Dialogues 1 and 2. 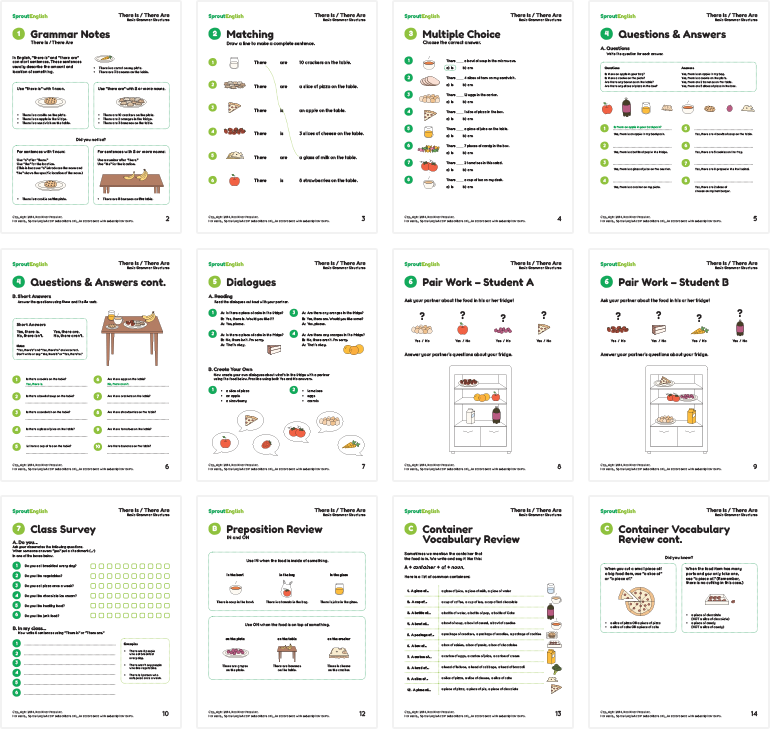 Each section has over 20 worksheets! Almost all of our Discovery Center lessons use the simple present. Students can see this tense in use as they read about topics that interest them such as animals, famous places, and food. Our Verbs & Prepositions section in our Word Bank has a nine-page lesson on Daily Routines. Perfect practice for repeated actions in the simple present!